A large gathering of community leaders, school officials, law enforcement officers, firefighters, and emergency medical personnel broke ground on the Marty Lewis Public Safety Training Facility Friday morning at Gordon Cooper Technology Center. GCTC School Board President Gary Crain told the crowd that the decision to name the new building in honor of GCTC Superintendent Marty Lewis referenced his administrative capability that fostered a culture of united purpose and commitment to serve people of this area. 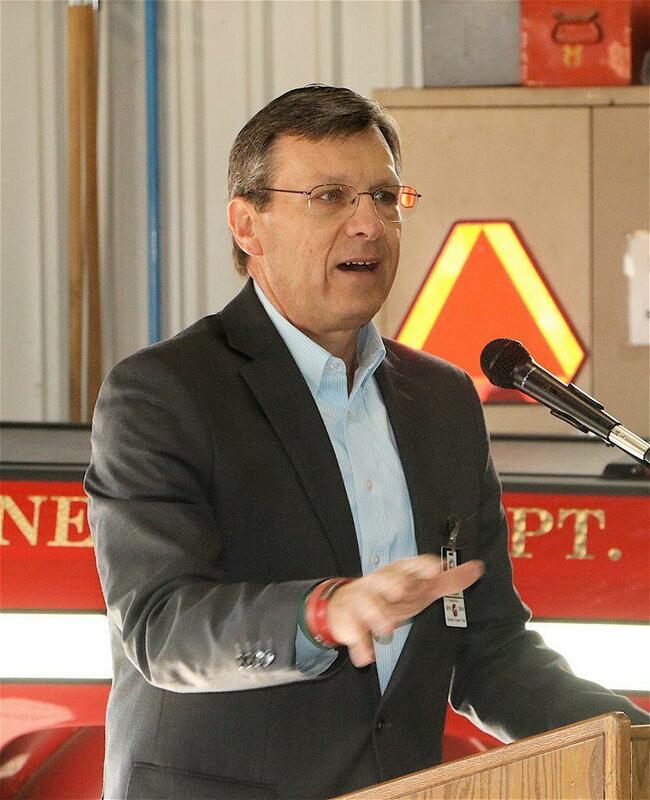 As a retired Oklahoma Highway Patrol supervisor, Crain said providing the latest and best training for emergency responders can make the difference between life and death in a critical situation. “Leaders in this area worked with the technology center without division on the common goal of making our communities safer,” he said. Supt. 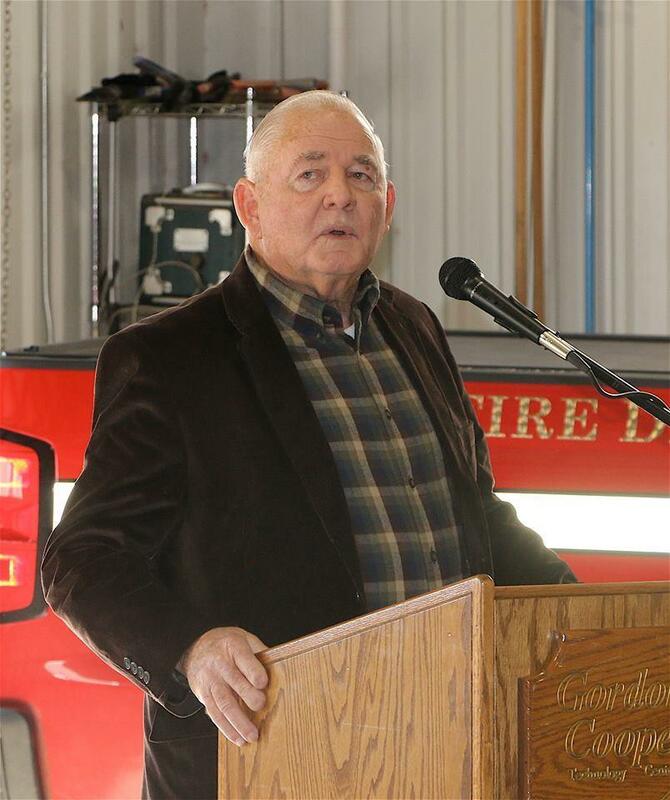 Lewis, who plans to retire at the end of June, gratefully acknowledged the support his family received from emergency responders when his son was involved in a tragic, fatal accident on the Turner Turnpike in 2010. “The police, firefighters and paramedics of this area deserve our respect and the best education and training we can provide for the future and existing emergency workforce,” he said. The $5 million facility adjacent to 45th Street and the GCTC south entrance is set to house training for area high school students and working law enforcement, firefighters, EMTs and paramedics. The more than 20,000 square feet facility includes four classrooms, a paramedic training lab, firearm simulation room, driving simulation room, workout space, large meeting room, fire training tower and additional water features for fire equipment. 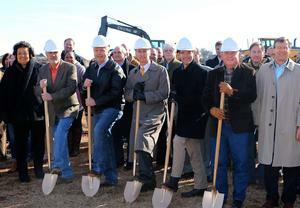 Construction is scheduled for completion in December.